Posted on Sunday, August 25th, 2013 at 5:44 am. Boxing History: August 23, 1920 Jack Britton D 12 Lou Bogash, Bridgeport, CT. Retains World Welterweight Title. 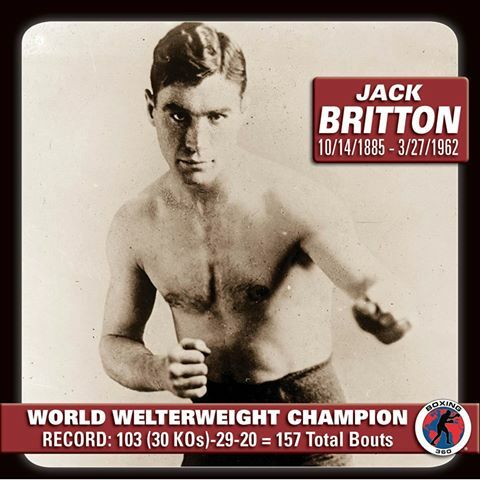 Jack Britton (October 14, 1885 – March 27, 1962) was three-time world welterweight boxing champion, born William J. Breslin in Clinton, New York. His professional career lasted for 25 years beginning in 1905. The website boxrec.com lists his record as 239 wins, 57 losses and 44 draws, including newspaper decisions. He holds the world record for the number of title bouts fought in a career with 37 (18 of which ended in no decisions), many against his arch-rival, Ted “Kid” Lewis. Ernest Hemingway’s short story “Fifty Grand” is based on the Jack Britton/Mickey Walker fight in Madison Square Garden on November 1, 1922. World Welterweight Title: Jack won it in 1915, but lost it next fight. World Welterweight Title: Jack regained the title in 1916, defending it six times before losing in 1917. World Welterweight Title: Jack won it back in 1918, defending it 15 times, but losing it in 1922. American Welterweight Title: Jack held the title from 1918 to 1930, when he retired. Ernest Hemingway’s short story “Fifty Grand” is based on the Jack Britton/Mickey Walker fight in Madison Square Garden on November 1, 1922. It tells the story of Jack Brennan as he trains for and boxes in his fight with challenger Jimmy Walcott. The first part of the story takes place in New Jersey, the second in New York. 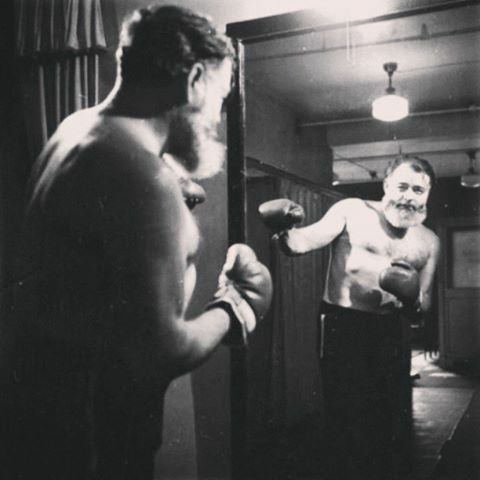 It shows Hemingway’s love for and knowledge of boxing, and his use of omission and understatement, and contains an early expression of his moral code.